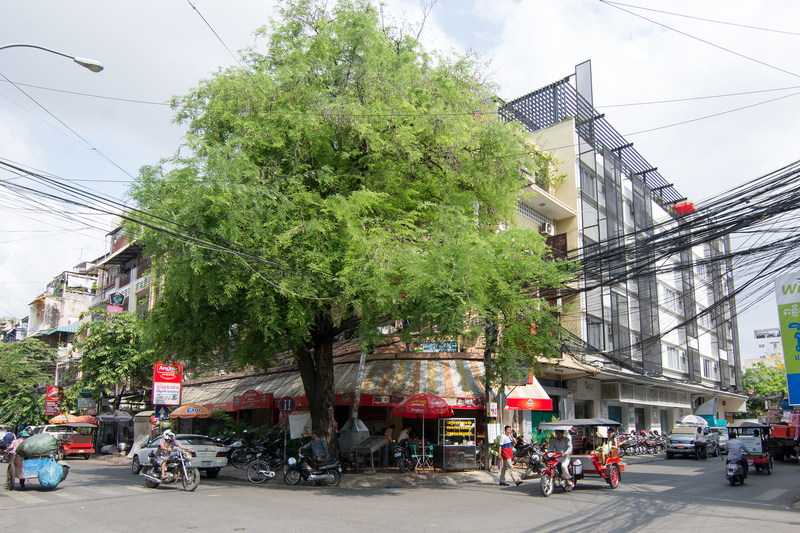 This story focus on the urban space of Phnom Penh’s corners. Photographer Prum Ero captures the varied architecture and everyday life at the rounded and angular corner buildings from the perspective of the pedestrian. His selection of images is mapped around five of the capital’s main markets including Psa Kandal, Psa Chas, Psa Olympic, Psa Orussey, and Psa Thmei, reveals a wide range of adaptations to original structures built between the 1910s-1980s while capturing many aspects of city-life today. Driven by an impulse to record for future generations’ reference, Prum’s titles combine the directional and street indications with the date of documentation. My name is Bandiddh Prum. You can call me Ero. My work focuses on documentary practices and art copy in photography and video. I am based in Phnom Penh, Cambodia. 2018 Behind the scenes on “New Land Broken Road”, a film directed by Kavich Neang and produced by Anti-Archive. 2017-2018 Behind the scenes on “Echoes From Tomorrow”, an Anti-Archive project featuring films directed by three Cambodian women. 2017 Behind the scenes on “Funeral Of My Father”, directed by Vandy Rattana. 2017 One of the founder of Project: Bring forest to the city. 2017 Videographer for Asia Culture Center (ACC). 2016-2017 Videographer and photographer Production team for contemporary artist Khvay Samnang for Preah Konlong, commissioned by documenta14. 2016 Film Production Assistant and Cameraman (To be titled), a documentary on Cambodia’s Tampuen indigenous weavers with artist Arin Rungjang. 2015 Film Production Assistant, “The Age of Vision”, a documentary on Cambodia’s foremost modernist architect Vann Molyvann by artist Hyun-Suk Seo. 2015 Cameraman and editor “I, Svay Sareth, eat rubber sandals,” a performance documented by contemporary Cambodian artist Svay Sareth. 2016-Present Documentation artswork for cambodian artist Thang Sothea 2014-2018 Documentation artswork for artists at SA SA BASSAC.